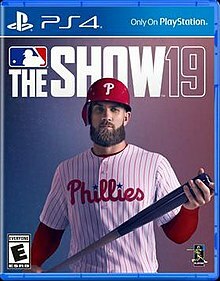 With all the talk of console exclusives between Sony, Microsoft and Nintendo, the one exclusive that gets overlooked the most is the MLB The Show series. Yes, it is a sports series, but it’s also the best representation of a sport in video game form. This also means it becomes more difficult on a yearly basis to improve on what has already been established. 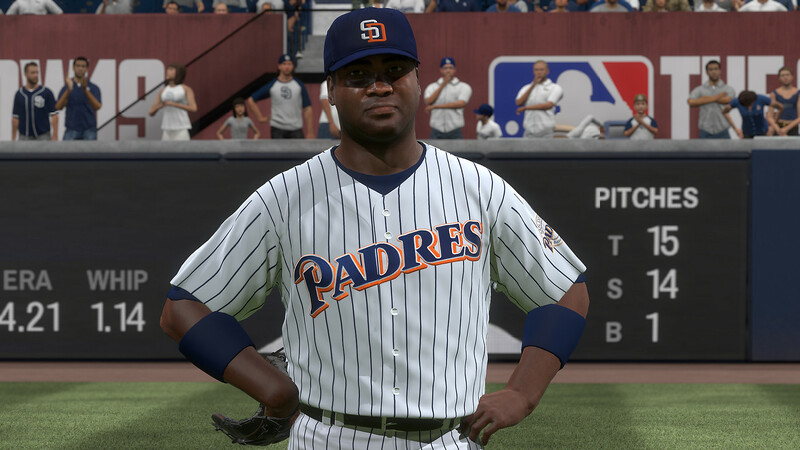 With MLB The Show 19, San Diego Studios has thought outside of the box in terms of keeping its players engaged. New modes and new ways of playing have been implemented this year along with implementing community feedback for what happens on the field. The results point to The Show 19 as being the purest form in the series to date. The stadiums are as realistic as it gets. There will still be some areas, especially in the minor league stadiums, that are lacking in detail in the distance. Replays still show off some player model clipping, as a few of these things still take away from the immersion of the realism. 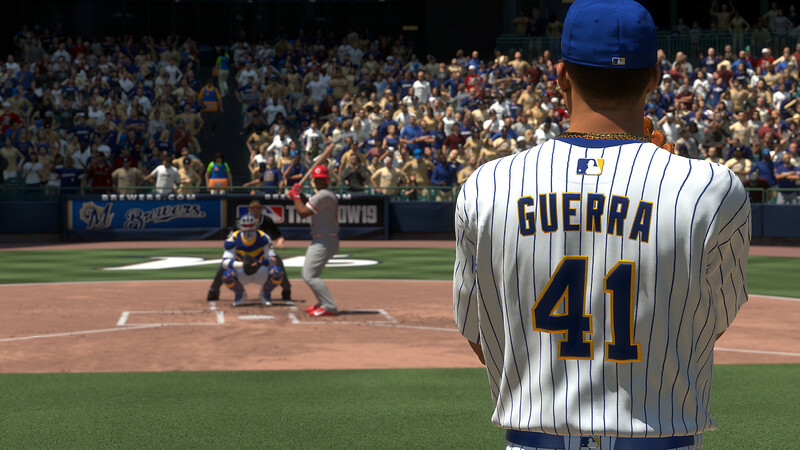 The Show 19 includes three different types of broadcast options to make the game feel like a true television broadcast. The MLB Network is much better implemented this time around and improvements have been made to the other two score overlay options to help make them feel distinct. A new female dugout reporter has been added to further help with the television broadcast feel. There’s also a new camera that has been included that pops up during key situations when pitching that adds a new element to the feel of the game. These are all nice additions that make the game feel fresh when playing. What still isn’t fresh is the broadcast team. Matt Vasgersian is still the voice of The Show and is now on ESPN as the Sunday Night Baseball commentator. While his voice comes off as a bit boring and repetitive, he still ends up being the best choice for the job. Mark DeRosa and Dan Plesac complete the team and don’t really add to the feel. Many times, I can’t tell the difference between the two and one or the other will say things that feel out of place. Saying that they don’t make players like they used to when playing as Babe Ruth kind of ruins the moment. The repetition is a bit much, but the overall feel still feels like a broadcast but again, the commentary needs some attention. 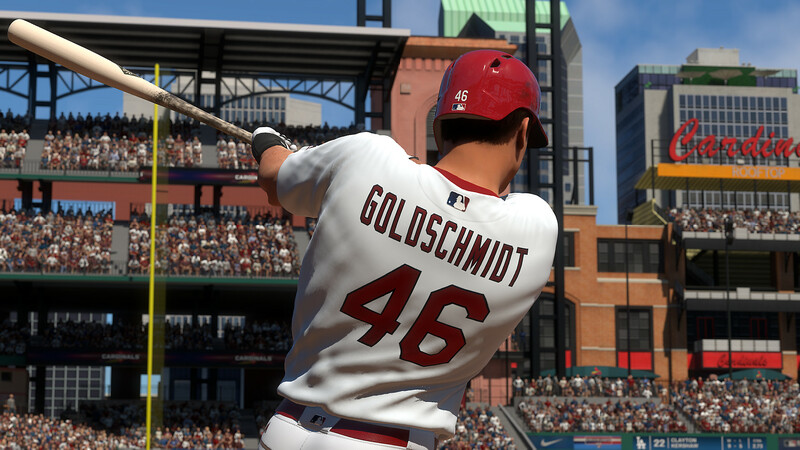 There is an overwhelming amount of ways to play MLB The Show 19. 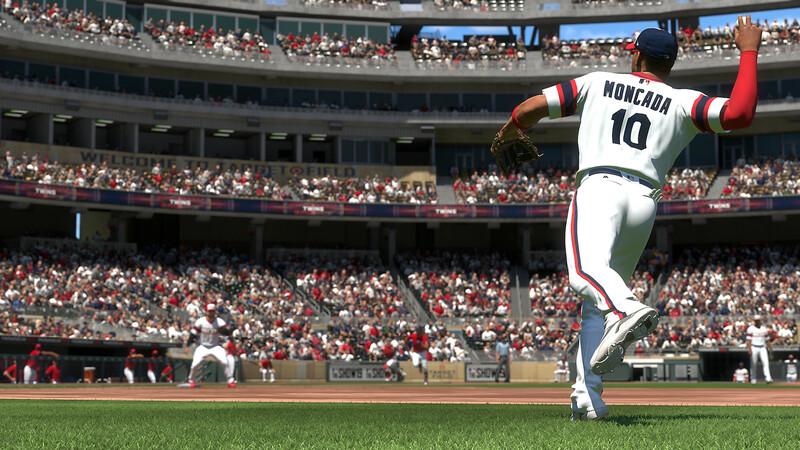 All the core modes return such as Franchise, Diamond Dynasty, Road to the Show, Home Run Derby, etc. What’s new this year includes Moments and March to October. For those looking for big changes to Franchise Mode, it still isn’t happening. You can handle all operations of your team over the span of multiple 162 game seasons, but the sports genre as a whole seems to be putting focus elsewhere. For those that don’t have time to grind like that, March to October will get your fix of completing an entire season in a shortened amount of time. This mode will allow you to choose a team that’s categorized between a contender, pretender and rebuilding team. You will play specific moments of a game starting in later innings and completing goals and winning games will grant you momentum towards simulated wins throughout the season. There will be times where you will be tasked with playing as one player as that player becomes a focus of a storyline going forward. March to October is a fun change of pace that keeps things fresh without overwhelming you with team operations. Road to the Show has always been the best “My Player” mode out there and San Diego Studios truly outdid themselves this year. While some of the stuff may be borrowed from other series, it was much needed. This year, your player will include a player archetype and a personality archetype. You will choose whether the player is a power hitter or someone that focuses on speed or a variation of pitching types. You will also set the clubhouse personality, whether they be a leader or a maverick. Players will progress through their career with answering dialogue that will provide points to use in a skill tree that will grant bonuses. The career is actually narrated as it brings somewhat of a story premise to the mode. Lastly, there will be mini games that will dictate raising your level cap. Each series is streamlined for a quicker process as you will still participate in only the plays you are involved in. This is the greatest leap that RTTS has ever taken. Diamond Dynasty will also offer more rewards this year and a plethora of ways to play. The biggest addition comes in the way of Moments. You will be able to take on legendary players or a mash up of current and legendary players in scenarios. These Moments are tough and may require multiple playthroughs. Some range from following in the steps of Babe Ruth to going through the rookie season situations of Bryce Harper. The Show 19 also includes boss battles that will pit a few legends on a team and you take your Diamond Dynasty squad through these scenarios. Other ways to play in Diamond Dynasty still involve Conquest, which is like Risk as you acquire fans and battle other MLB teams, Battle Royal and Online Seasons. There will also be individual missions to play. The biggest thing is the granting of rewards as this has increased this year. It still feels like a grind, but it won’t take too long to get a sufficient gold squad. Getting enough stubs for the Diamond players will still take a bit. With so many ways to get stubs, it becomes a more widespread grind. Diamond Dynasty is still the best card mode going, however, and these changes especially with implementing Moments is a step forward.